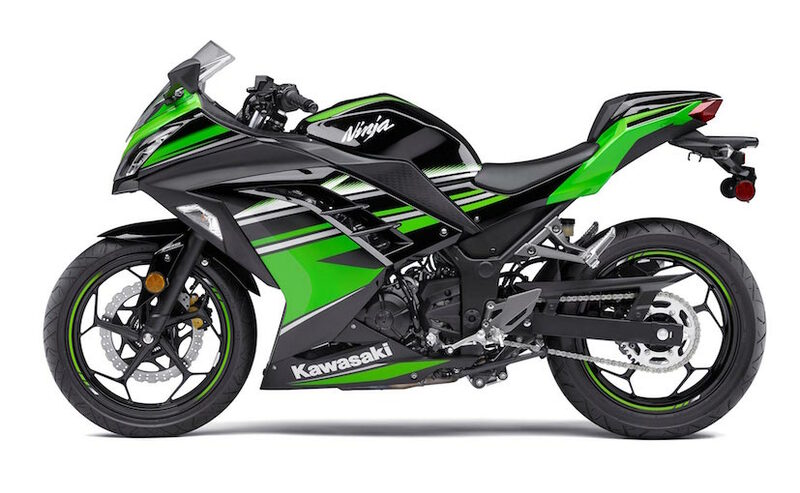 The quarter-liter offering from the Green giant, the Kawasaki Ninja 300 which was due for the update from a long while, reportedly likely to be replaced with a larger displacement model Ninja 400 next year. While, it global showcase is anticipated at one of the most popular motor shows worldwide, the EICMA next month. The event which will boast a number of new launches and upgraded models for enthusiasts is slated to commence from November 7. Well, there is no official words from the automaker, yet recently released teaser video and various spied events including latest one while filming commercial ad shoot in Milwaukee, the US in July this year, are fueling up the speculations of next-gen Kawasaki Ninja 400 roll out in front of the global audience at EICMA next month. In terms of propelling power, the Ninja 400 is likely to bolt with a revived 399cc parallel twin-cylinder engine from the current 299cc unit. Mated to a six-speed gearbox, the mill is expected to spawn power near about 44 bhp along with 37Nm peak torque. These power figures will make the bike to compete with the models such as Yamaha YZF-R3 and KTM RC390 in the segment. Other upgrades that are also expected on the new bike are revised suspension and braking components, ABS as standard fitment, ride-by-wire, and riding modes. Apparently, the 2018 Ninja 400 could draw some inspiration from its liter-class sibling the Ninja ZX-10R at least at the front face and on the fairing. The India launch of the bike is in darkness as there are no official words from Kawasaki subsidiary here. Also, the variants such as the Ninja 300 and the Ninja 650 already have their availability here.